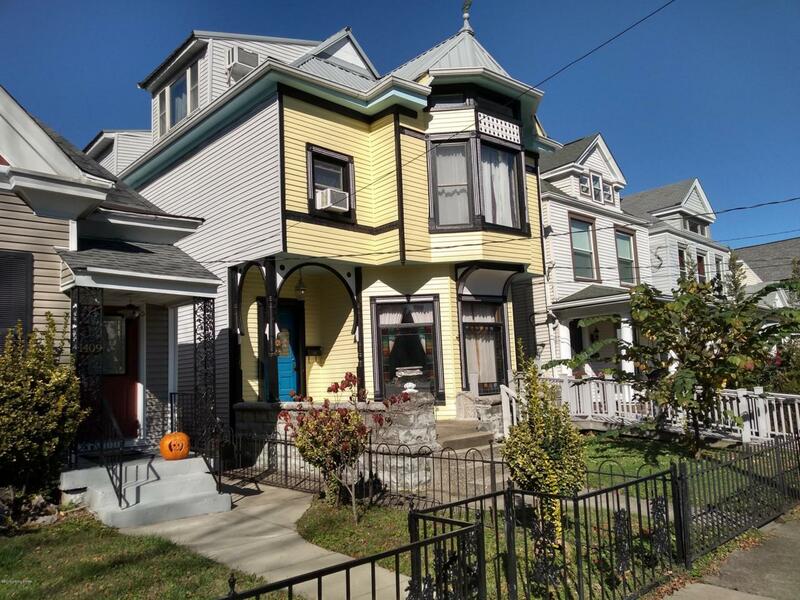 This updated Victorian home is a true gem. Exquisite original details with natural woodwork, pocket doors, beautiful tile fireplaces, stained glass windows and beautiful updates for today's lifestyle. Formal living and dining rooms with an updated gathering room and completely remodeled kitchen and full bath complete the first floor. The kitchen has beed completely updated with a wall of windows overlooking the back yard. Three spacious bedrooms and another full updated bath complete the large owner's area. The third floor offers a spacious one bedroom apartment with separate entrance and utilities. This home features an abundance of light in the great room and a separate bedroom and deck with a view of downtown.This home has been well cared for and offers recent replacement windows throughout (except original stained glass in front) as well as a recently updated metal roof. This home offers rare off street parking in a two car garage and additional parking alongside. A privacy fenced back yard and deck are an added bonus.